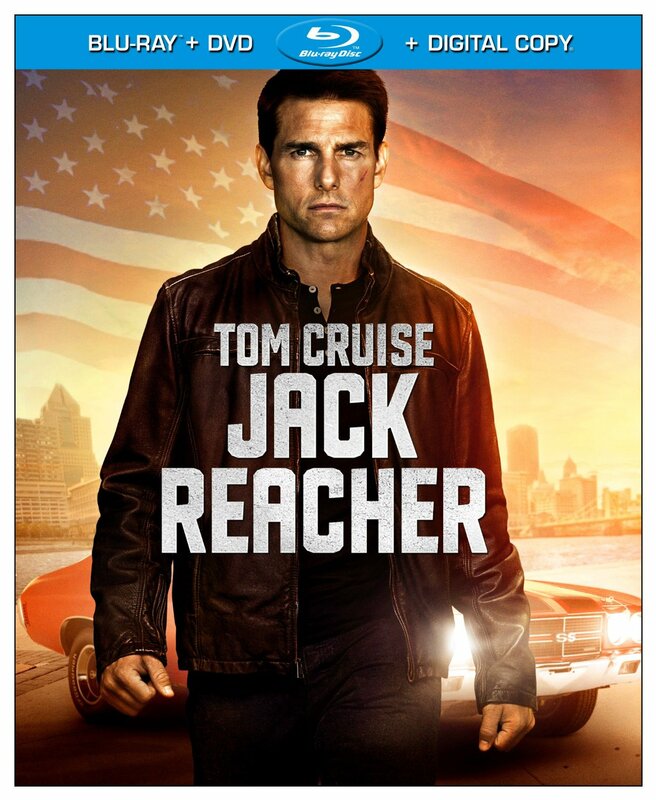 CHICAGO – “Jack Reacher” doesn’t work as an action movie. However, if you approach the mannered dialogue and dark storytelling as a noir, which is what I believe the writer and director (if not the marketing team at Paramount) intended, then there’s a lot to like here. It’s a stylized, slick, well-made ride with some crackling dialogue, charismatic performances, and heavy doses of style. Was Cruise miscast? Perhaps. But Rosamund Pike, Werner Herzog, and Richard Jenkins sure as hell were not and what does work about “Reacher” off-sets everything that arguably does not. Quit griping about Cruise’s height. It’s an easy, obvious criticism and isn’t really that essential to the success here. I do think a grittier actor might have made for a better film but Cruise certainly isn’t bad. It’s a solid rental and I hope enough people see it make another one. A maniac parks in a garage and takes aim at the average citizens across the river. He takes six shots. (It did “Reacher” no favors at the box office to open so close to the events of Sandy Hook Elementary.) When a man is arrested for the crime, he asks for Jack Reacher, a renegade who will do anything for justice. Reacher is a character straight out of ’40s noir. He’s a crimesolver with his own moral sense of right and wrong. And if there are any actresses more attuned to noir dialogue than Pike, I can’t think of them right now. I really hope that she finds that breakthrough part to make her a household name because there are few actresses more charismatic who aren’t internationally known. Likable performances, a tense narrative, solid direction — I’ll admit that “Reacher” goes on a bit too long and the final act is easily its weakest, although even the streamlined, non-action heavy nature of that works with noir…I just think people expected action. Go into “Jack Reacher” without genre expectations. Don’t think of it as a winter action movie. Don’t think of it as a Tom Cruise vehicle. Just enjoy a film made by people who understand the noir genre more completely than many who have tried in the last two decades. Note: The Blu-ray gets an extra half-star for the commentary track by Cruise and McQuarrie. Most modern stars of the brightness of Cruise often feel like they think themselves above audio tracks. It’s cool that Cruise took part. Ex-military investigator Jack Reacher (Tom Cruise) leaps off the pages of Lee Child’s bestselling novel and onto the big screen in the explosive thriller the critics are calling “taut, muscular, gruff and cool.” When an unspeakable crime is committed, all evidence points to the suspect in custody who offers up a single note in defense: “Get Jack Reacher!” The law has its limits, but Reacher does not when his fight for the truth pits him against an unexpected enemy with a skill for violence and a secret to keep. “Jack Reacher” stars Tom Cruise, Rosamund Pike, Richard Jenkins, Robert Duvall, and Werner Herzog. It was directed by Christopher McQuarrie. It was released on Blu-ray and DVD on May 7, 2013.